Mashhad is the capital of Khorasan province in the North East of Iran, 892 km away from Tehran. It is located at the altitude of 985 Meter occupying an area of 204 sq. Km. and has a population of about 1.5 million. Mashhad grew from a small village called Sanabad, 24 km away from Tus. After the martyrdom of Imam Ali ibn Musa Al-Ridha and his burial there in 203 AH, the place came to be known as Mashhad Al-Ridha. Astan-Qods-Razavi (the name given to the physical buildings comprising the Haram) is one of the most beautiful and glorious religious places in Iran. The best of Islamic art and architecture can be seen in the unique and significant monuments where Islamic art and faith is embedded. Hamza Ibn Qahtabah, the Abbasid army commander who had led the war against the Ommayids was appointed by Mansur and Al-Mahdi, the Abbasid caliphs as the Governor of Khorasan. He made a big garden between Noughan and Sanadan and erected a palace which stood up to the beginning of the 4th century AH. Haroon, who had come to Tus to suppress the Khorasan rebellion, became ill and resided in the garden during his ailment. But he died in 193 H. And was buried inside the palace. Upon his tomb a shrine was built. In 203 AH, Imam Al-Ridha, peace be upon him, was poisoned by Mamoun, the son of Haroon and Imam was buried alongside with Haroon. 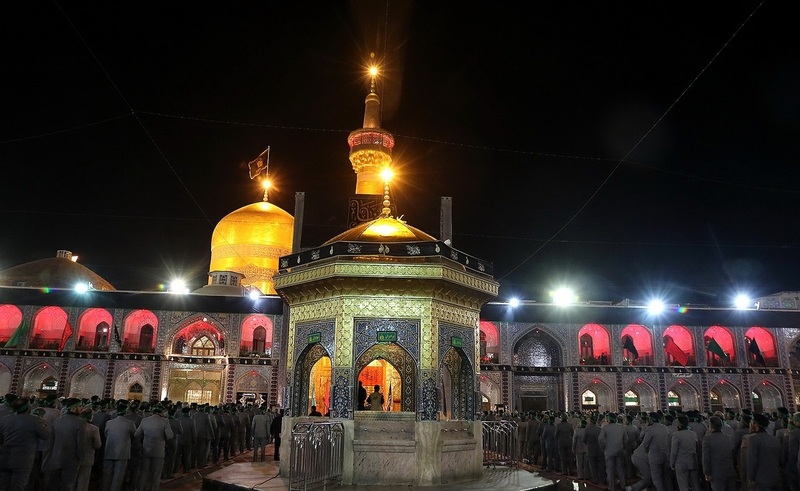 Since the martyrdom of Imam, his holy shrine became a place of pilgrimage for the world’s Shias and the city spread so far as Noughan and Sanabad were annexed to it to become Mashhad Al-Ridha, shortened over time to Mashad. The holy shrine was ruined by Saboktakin, a Ghaznavid king. 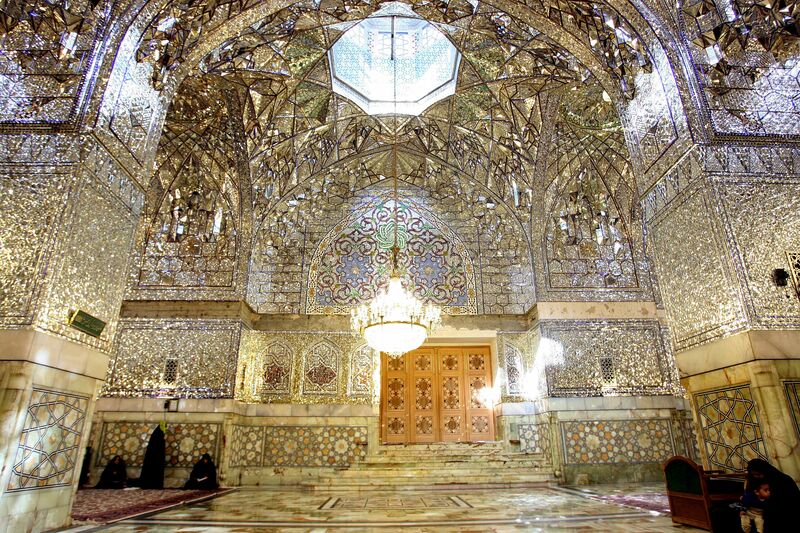 But his son, Sultan Mahmoud ordered the shrine to be repaired and expanded in 428 AH. During the invasion of Changis and his son, Tooly, the holy shrine was ruined again. 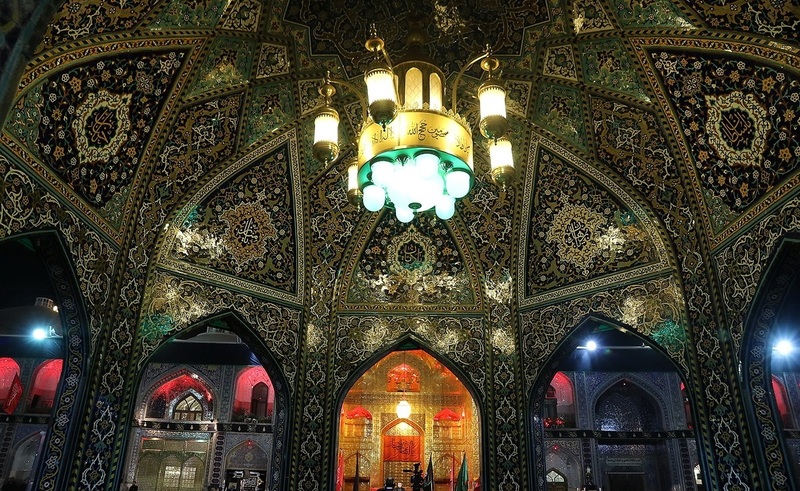 Sultan Mohamed Khoda-Banda, a Shiite king of Moghol dynasty, who reigned from 703 to 716 AH, had the holy shrine rebuilt. Since the time of Safavids, Afshars and Qajars to date many of the Astane-Qods buildings have been expanded. 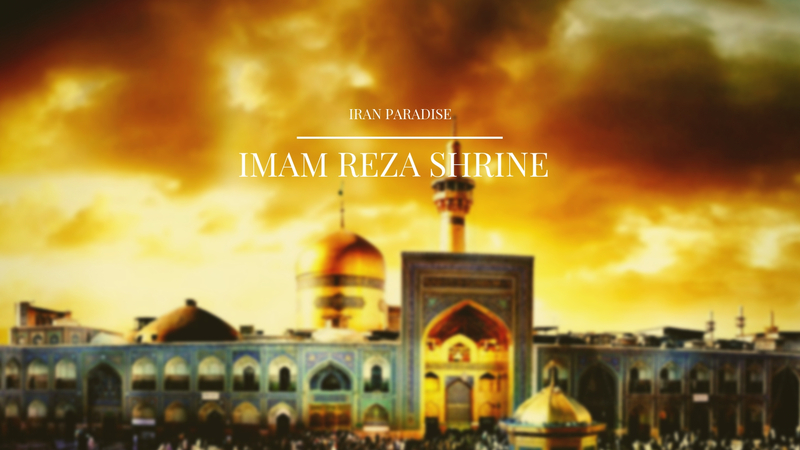 The Golden Dome on top of Imam Ridha [a]’s tomb is the most prominent symbol of Mashad and has a height of 31.20 meters. A large inscription has been written round the Dome by Ali Ridha Abbasi. The Astaane Quds museum is one of the richest and most exquisite museums of Iran. 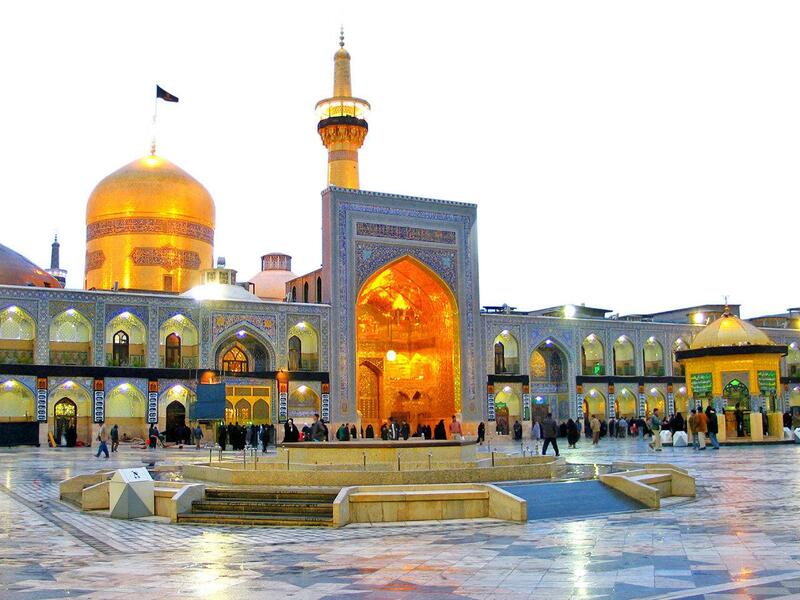 The building is located in the eastern quarter of Sahne Imam Khomeini and close to Haram square. Some of its objects date back to the 6th century AH. The collection of carpets, rugs and golden covers for the Tomb are all unique and date back to the 11 and 13th centuries. Some inscriptions written by Ali Ridha Abbasi are among the valuable objects. Among the unique works of art in the museum is Imam’s first tombstone, the inscription of which was carved in kufi relief script belonging to 516 H. There are also samples of relief tile work known as Sanjari glazed tile belonging to the 6th century H. and a big stone water pool made of a piece of Blackstone decorated with the most beautiful arabesques.